No more hiding. The fight has just begun. Severe discrimination has demeaned an already misunderstood population with an uncertain future. Many Americans agree that veterans and active service members should be treated with the upmost respect. Many would also agree they should receive the benefits they rightfully deserve for honorably serving their nation. But what about military personnel that identify with a gender different from the one assigned at birth? For decades, transgender service members have been discriminated against, unjustly discharged from active duty and denied basic human rights such as access to healthcare. A series of three tweets on July 26, 2017 sparked the continuation of discriminatory military policy. Under a new presidential administration and a country characterized by the most divisive political landscape in decades, we are living in dynamic, complex times with high stakes for everyone: civilian or military, cisgender or transgender. Today, more than ever, we must listen, learn, and most importantly take action for our troops. They've fought for our freedom. Now, we must fight for theirs. It is time to TranStand. Regina Haege is third generation military, spending kindergarten in Okinawa and enlisting in the U.S. Navy at age 17 in 1982. She is a grandfather, college student, and aspiring counselor specializing in helping LGBTQ youth. U.S. Navy veteran Chrissa Ferrell served one year after 9/11 in Operation Iraqi Freedom. She is a loving wife and proud mother of seven children. 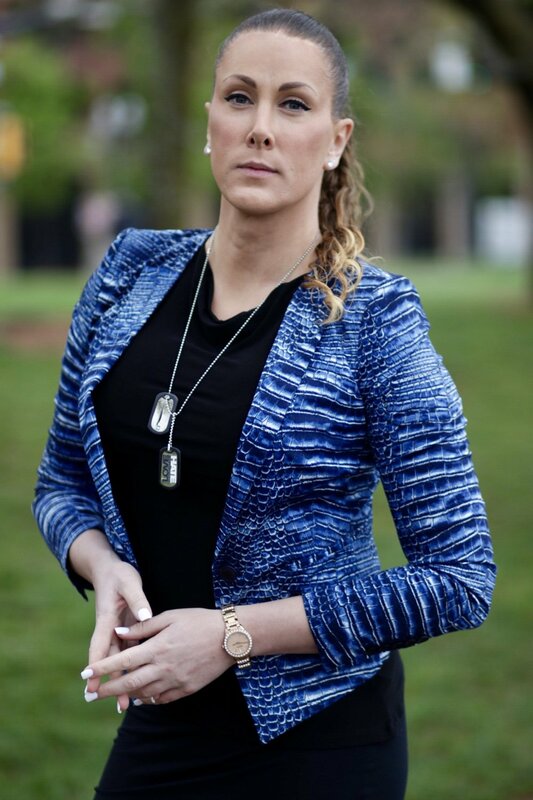 Twelve-year U.S. Air Force veteran and LGBTQ advocate Shannon Scott serves on the board of directors for the Human Rights Campaign fighting for civil rights. From wwII to trump, Transtand walks you through the history of transgender military policy in the United States–the triumphs and the downfalls. Please see "Calling All Allies" below following the film. More than ever, the LGBTQ community needs allies––individuals who will stand up against the discriminatory social and political rhetoric across the U.S.
Visit the following organizations to sign up for their newsletters and stay up to date on the latest LGBTQ legal battles. Click the map to find your state legislature website! Here are some tips and talking points to get you started with your letter to legislation: *Be succinct about about why you are writing (i.e. "I support the open transgender military service because...") *Explain how the ban on open service affected the veterans you saw in the film. Use specific names and circumstances. Cite TranStand. *Refer to the plaintiffs in the lawsuits challenging the proposed ban: Karnowski v. Trump, Doe v. Trump, Stockman v. Trummp, and Stone v. Trump. *Use statistics about healthcare costs (transgender health would cost only 0.04% of the DoD $6 billion-dollar health care budget, this comes out to 22 cents per person per month) *Explain that it will cost $960 million in tax dollars to replace transgender troops currently serving. Support All-User Public Restrooms – Some transgender and gender non-conforming people may feel uncomfortable using the restroom with a label that they do identify with, for a multitude of reasons (i.e. passing privilege, public backlash, safety, etc.) Encourage places you frequent including businesses, agencies, and schools to have unisex and/or all-gender restroom options. Contact Your Local and State Legislators – this is where it all begins. Your calls, emails, and letters are exactly what fosters change. See the above text box for tips and guidance on how to write your first letter. You can also find your state legislature website using the map above. How to Have the Courage to Ask "the Question"
Tips for how to drive the conversation in the fight for transgender rights. Ask or question someone's surgical status. Refer to someone using past gender/name. Apologize when you mess up and move on. Ask, "How can I best support you?" Ask, "What needs do you have to feel safe at work/school, etc.?"